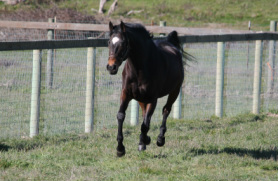 The Brego Foundation is dedicated to the rescue, rehabilitation and retirement of former race horses and other horses in need of a second or even third career. The Brego Foundation is a recognized 501c3 charity that was founded in 2007 when Brego was rescued from the Washington feedlot. We received our non-profit status in 2010. We are an extremely small rescue operation and would not be able to extend our reach if it was not for the strength and commitment from our partners. Eponaquest and The Merlins Spirit Foundation - Best selling author and speaker Linda Kohanov founded The Merlin's Spirit Foundation specifically to bring the Eponaquest Approach to veterans and their families. The Brego Foundation acts as the West Coast arm of this foundation. Introducing a demonstration for Fox News during our interview in December. Brego and Sander arrive at Tabula Rasa Ranch in 2013. The Brego Foundation is the result of a partnership between horse and human. Founded in April of 2007 when a conversation occurred over email regarding a 17+ hand tattooed thoroughbred sitting in a Washington feedlot. $750 later, this gentle giant was on his way off the lot and the Brego Foundation was born. Julie Bridge, Executive Director and Founder (human) of the Brego Foundation has been riding since the age of two and has always had a deep love and appreciation for thoroughbreds. Her vision is to renew and elevate the horse human partnership which has existed for over thirty five thousand years. She maintains a full-time job in the technology industry and is currently raising an nine year old son. She has an advanced degree in Depth Psychology, is an Advanced Epona Recommended Instructor and Certified Equine Guided Educator. 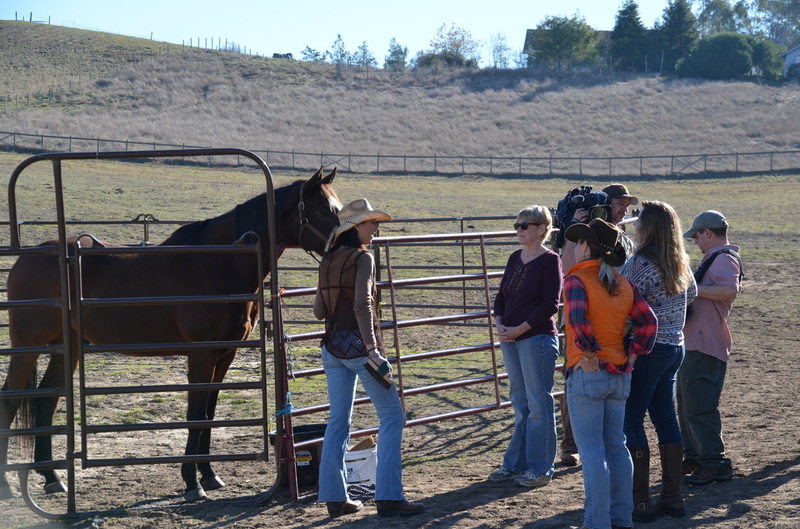 Julie has had the honor of training and apprenticing with some of the most influential leaders in the area of Equine Facilitated Experiential Learning such as Linda Kohanov, Ariana Strozzi and Wyatt Webb. She lives in Sebastopol California at Tabula Rasa Ranch with her son, eight horses and three goats.